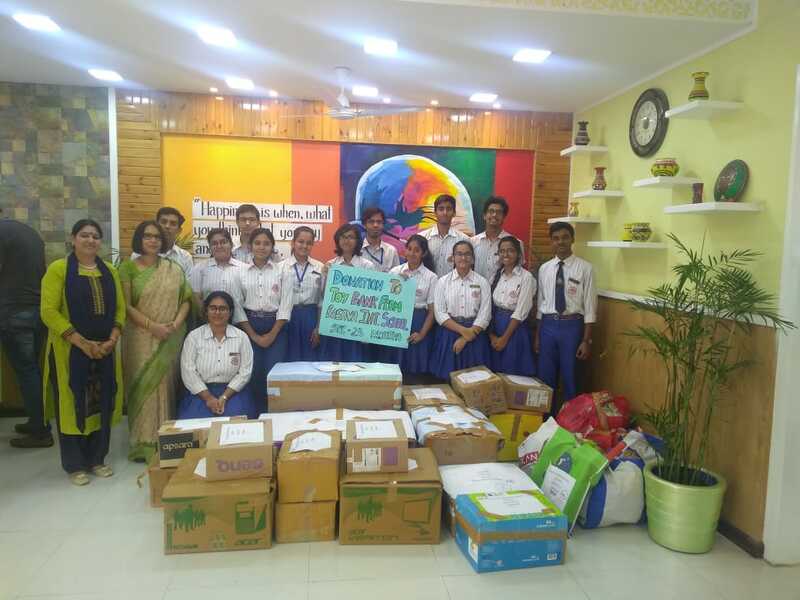 Basava International School, Sector 23, Dwarka organised a Toy Collection Drive to encourage children to donate toys, books, stationery for underprivileged children in rural areas. The drive was conducted in collaboration with Toy Bank, an NGO that caters to the specific needs of underprivileged children, by providing them with recycled toys. The Toy Drive witnessed a fervent participation by the school students. The student council members were instrumental in motivating the children to donate toys and games. The collected toys were sent to the toy banks where they would be re-furbished/ cleaned before they are transported to the toy libraries in rural areas. The Toy Collection Drive was an inspiring initiative that brought forth teamwork and leadership qualities in children. The Drive made the students aware of the life of the underprivileged children and how toys played a pivotal role in shaping their cognitive and emotional development. They were able to empathise with the rural children and comprehended their needs. This innovative drive was poignant in ensuring a holistic development of our children.